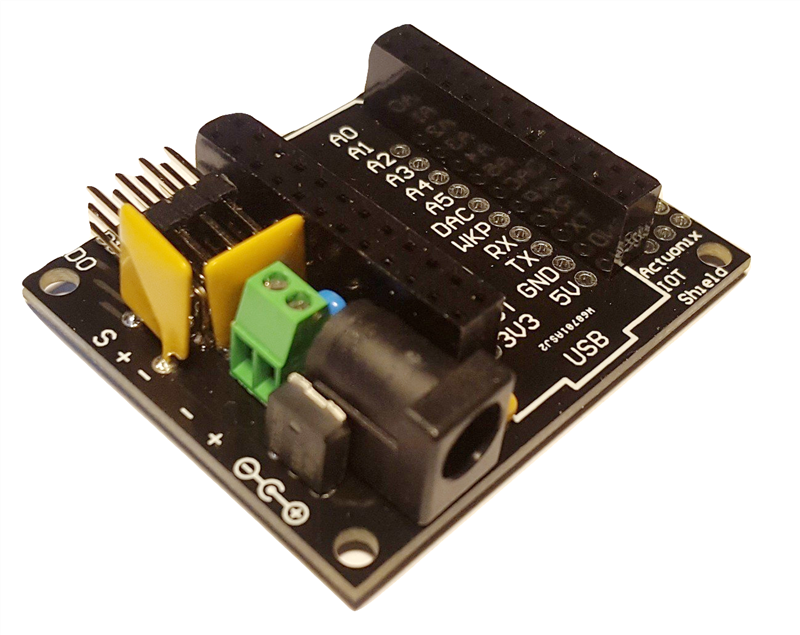 Actuonix Motion Devices’ unique line of Miniature Linear Servos just became easier to control with the IOT Servo Shield. Plug in a Particle Photon WIFI module and you'll be able to control up to 4 of our "R" series actuators using your cell phone (Android or IOS) or many of the Home Automation options offered by IFTTT.com. The IFTTT service supports Google Home and Amazon Alexa, giving you custom voice control options. The Actuonix IOT Servo Shield makes wiring a breeze. Any -P Series Actuator with LAC, is also compatible. A -R extension cable can be used to connect the LAC to the IOT Shield. 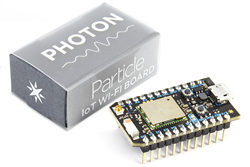 Bundle includes 1 x IOT Servo Shield and 1 x Particle Photon WiFi module. 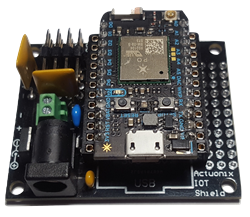 See the IOT Servo Shield Datasheet for more detailed specifications and setup info. Click here to see our current Inventory of Controllers. Turn your -R or -P(with LAC) actuator into an internet connected Linear Servo. The popular IFTTT.com service allows you to trigger movements through Google Home, Amazon Alexa, and so much more.